The sources claim that Interior Ministry along with other stakeholders including officials of law enforcement agencies have closely reviewed the draft of the two-page dossier and has concluded that it carries no tangible evidence of Pakistanis’ involvement in the attack. Reports daily The News. 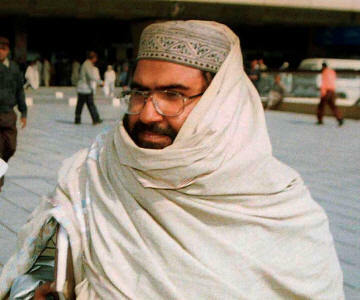 Government has decided not to arrest or detain Maulana Masood Azhar, Amir of Jaish-e-Mohammad (JeM) without any valid evidence for his alleged involvement in the Pulwama attack, highly placed sources directly linked with the issue revealed this to The News. Indian government in its dossier handed over to acting Pakistani High Commissioner on Wednesday February 27 had alleged JeM and its about 22 activists including Maulana Masood Azhar of plotting Pulwama attack in Indian Held Jammu and Kashmir causing deaths of almost 40 personnel’s of Indian Central Reserve Police Force (CRPF). The sources claim that the dossier dispatched by India used word, “supposedly” for the role of almost 22 activists of defunct organisation. 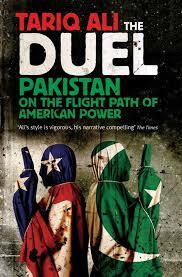 The sources claim that draft of the dossier itself was an evidence that Indian government has had no evidence of blaming Pakistan for the said attack. The sources claim that dossier also carried the name of defunct JeM founding chief Maulana Masood Azhar, his brother Mufti Abdur Rauf and his son Hamad Azhar (the real name of Hamad Azhar is Umar Masood Azhar). The sources claim that the authorities decided to take action against those whose names had already been placed on the 4th scheduled of Anti-Terrorism Act (ATA) of 1997. ATA 4th scheduled is specified for the suspected militants and somebody placed on this list faces certain sanctions including one that he cannot leave the jurisdiction of the relevant police station without the permission of its Station House Officer (SHO).